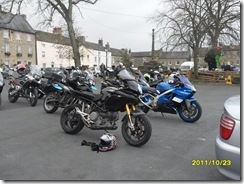 Helen and I went out on Sunday with the Lancs arm of the NUKB on a rideout to Masham for the end of year big meet. We met up with the North East and Yorkshire NUKB regions as well in Masham Market Square. The weather forecast initially was for poor weather early on but it was due to brighten up later. For this reason we decided to leave late and not join the main ride to Masham and instead proceed directly there. 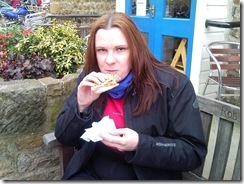 We left home and met up with Debs at Boundary Mill in Colne. We then headed on the A56/59 to Skipton where we joined the B6265 to Grassington. We stopped in Grassington briefly for a comfort break before continuing on the B6265. Just after Pateley Bridge we turned left to continue on the B6265 and soon arrive at our turning at Risplith. It said that the road was closed ahead but we decided to see whether we could get through anyway. Just after Grantley we found that a small bridge had collapsed and we couldn’t get past. However with Debs sat-nav we were able to take a small diversion to get around the problem. We then got back on our original route and continued on to Masham via Kirkby Malzeard and Grewelthorpe. 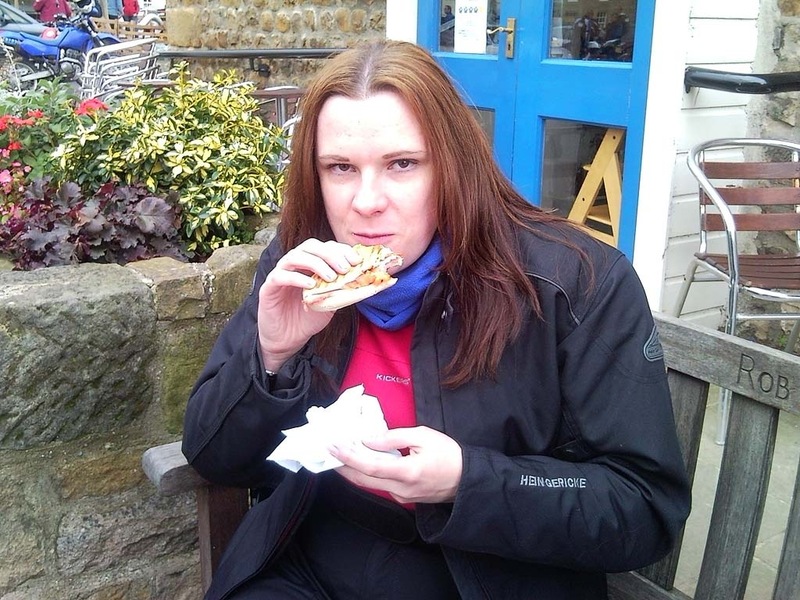 We soon arrived at Masham and were pretty much the first group there, so we got our food orders in early. We left Masham at around 1:30pm on the A6108 heading for Leyburn, after passing through Middleham we soon turned left onto a cut through road to Wensley that by-passes Leyburn. At this point we joined the A684 and continued on that road all the way to Hawes. We passed through Hawes and headed over to Ribblehead Viaduct on the B6255. We turned left at Ribblehead Viaduct as usual and headed back to Settle on the B6479. We stopped in Settle for a while to enjoy coffee and cake at the Ye Old Naked Man Café.